What a dramatic change that this back yard has received. As seen in this picture, the deck has been completed and provides a great view into the wilderness behind the home. 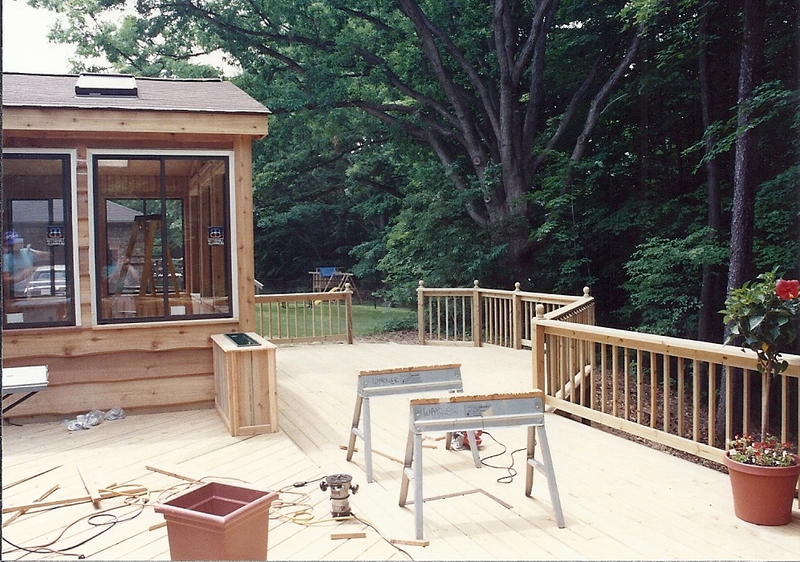 The sunroom addition has been framed, roofed, and sided with wood siding to match the rest of the home. Brand new windows have also been installed. Next on the agenda is for ths sunroom addition to be primed and painted, and the deck to receive a couple coats of stain for that authentic wood finish.